I want to talk about this game, it's always good when games inspire that. I was always going to be intrigued by this one. Coming to it both as a player, a lover of bizarre, unique worlds, and ultimately as a designer. It's a game you might not think you want to play, but it's very much a game you should play. 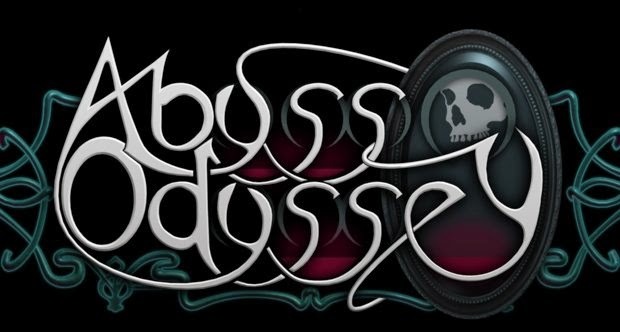 The Abyss Odyssey comes from the creators of the Zeno Clash games, ACE Team, out of Chile. so right out of the gates I knew that it was at the very least going to be interesting. I loved the world that they conjured up for the Zeno Clash games. Then I heard it was inspired by fighting games, a genre I'm not exactly the most skilled at. Then it was revealed it was to have procedural rouge-like elements, something that I have very mixed feelings on, and that wasn't a combination that seemed like a natural fit. So in summary, on the surface Abyss Odyssey is a side scrolling rogue-like fighting game, played in a procedural dungeon, and is set in 19th Century Chile. The story goes that some form of demonic abyss has opened up under Santiago and you take on the role of one of three (two unlockable) mysterious magical figures that help the local militia dive deeper into the abyss to defeat the warlock behind all the shenanigans in the first place. You can take a look at the first seven minutes of the game on You Tube to get a taster. There are lots of systems at play in the game, and not all of them in obvious combinations. In fact there are quite a few elements in Abyss Odyssey that feel like they simply shouldn't work, let alone be complimentary, but when taken as a holistic whole the experience does kind of come together. That said, fans of the individual sub-genres that the game draws from may have to accept that the game doesn't fully embrace them to a degree that will fully satisfy fans of any of them in isolation. I think the primary gripe that fans of both the fighting game, and the roguelike will have is that the game is not hard, far from it in fact. The combat, while having depth for those who revel in such things, also functions reasonably well as long as you master the fundamentals. You'll get through the game fine without having to master most of the combos, interrupts or counters. Likewise the Abyss itself is relatively short, which could be fine (FTL only has a handful of sectors), but the game gives you abundant chances for recovery. There are frequent healing potions, an optional save system in the form of camp tokens that activate respawn shrines. There is even an extra life (when your character dies, you take on the role of one of the Chilean militia, and if you guide him back to a respawn point, viola, your hero returns). Therefore if the difficulty is what appeals to you about roguelikes this possibly won't hit the mark. I finished it on my third run, in under three hours. It may seem strange to focus on all the things that you might find wrong with the game, in particular when I said at the top that you should play it. However for me, the fact that the game doesn't feel the need to be completely beholden to any one of it's influences, and is happy to just be itself, is a large part of it's charm. For me it's one of those interesting occasions from a game design point of view, where the mechanics involved are secondary to the overall experience. It's a fighting game that even people like me can finish (at least on the default difficulty), yet has depth for those that desire it. It's a forgiving rogue-like, that will allow you to experience it on terms of your own choosing. I view their camp tokens and such much in the same way I saw Bastion's altars - you can choose to make the game harder for yourself if you want to. The designer in me likes this accommodation, the purist in you may not. As with Bastion the replay value is there, you just have to choose to engage with it. It has an interesting additional system whereby you can capture the souls of your enemies when you beat them, and become them, thus gaining access to a different set of combos or skills for a time. It has an intriguing and ethereal story to tell, and does a good job bread-crumbing interesting vignettes throughout it's structure. Then there is the excellent art design, some memorable character design, and all with an interesting backdrop in the ACE Team's usual eclectic stylings. It's different, and let's be honest that's at a premium these days. All in all, it does work as an experience. As with most enjoyable indie titles, it provides a wonderful bite-sized experience that I felt was well worth the price of admission. Sure it may not have the 'tail' that people seek from a roguelike, or indeed from fighting games, so if that's your only concern then you may be disappointed, but you'd also be missing out on a cool little game that has a wonderful myth to lay out before you. I had fun with it, and enjoyed exploring the aesthetic presented by the Abyss. Sure, it's different, but that's ok.